Diversity of Representation in Card Art? Political and racial representation in a game is the best topic of discussion after there's literally no fun or interesting or enjoyable experience left to be had in said game. "yeah, let's talk about how many green people are in the artwork and how they are portrayed, because certainly there is nothing to be gained from actually playing and enjoying the game. The gaming bloggers that write about it don't bother playing the games, why should I have to? " It's funny how these kinds of crap posts are the only way people can derive joy out of this game but will still argue it's all going fine. 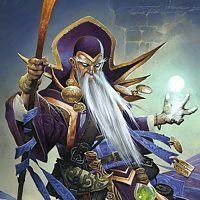 The one tool we need to balance the meta is to not buy packs until the devs decide to do their job. I'm not, and I suggest others stop as well until the devs straighten up.Good news is a new magic set just released today on magic arena. They don't have conversations, they just regurgitate data that may or may not address the issue and otherwise ignore what you say. What does that have to do with having zero mana? Oh, good, it's a priest and OTK meta again. Good thing blizzard doesn't care if anyone plays this game anymore.